1. 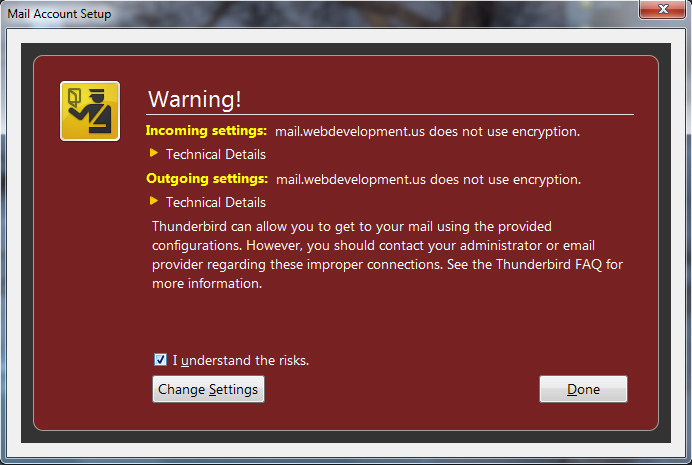 Please open Mozilla Thunderbird Click on Tools -> Accounts Settings -> In the left panel of the Account Settings dialog box, click "Account Actions" and then select "Add Mail Account". 2. 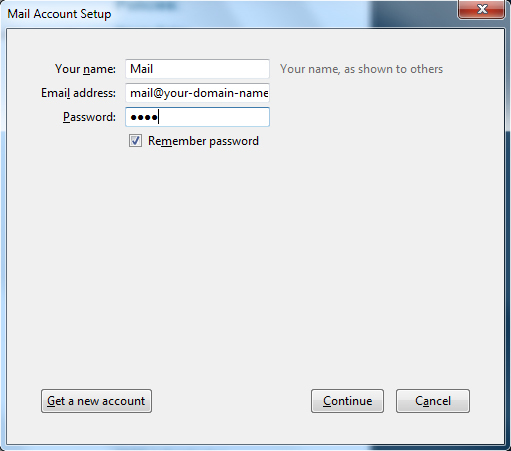 Enter your "Name", "Email address" and "Password" then click "Continue". 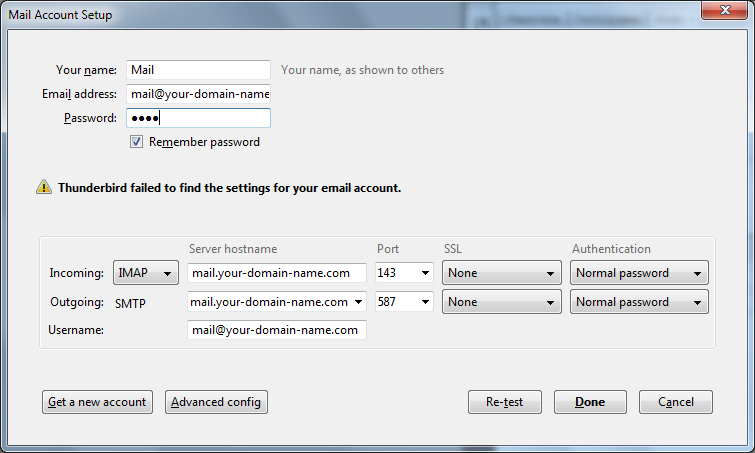 Make sure to input your full email address into the Username field and click "Done"
4. Put the checkbox "I understand the risks" and click "Done"